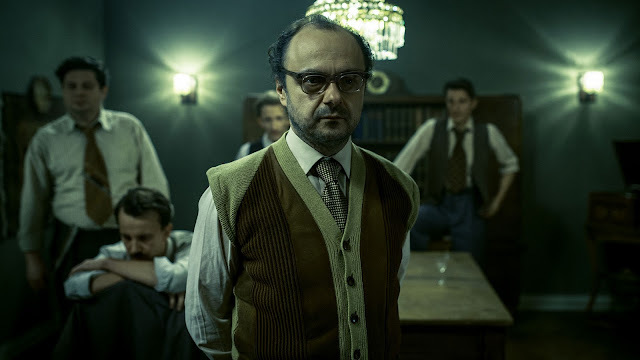 While this is in Polish with English subtitles I felt the acting all seemed of a high standard, especially with Polak and Boladz. As to the character of Adam though there really didn't seem much to him that was revealed. It was almost frustrating at times that he seemed like a mystery, the movie starts (outside of the prologue that has Gloria after the events of the main movie being told she is getting her memory wiped) with Adam arriving in Warsaw, but no explanation of where he has come from. It is up to the viewer to make up their mind if he was a time traveller, or if he became one, though with elements that reminded me of H.G Wells The Time Machine I think it becomes obvious enough. Gloria was a better character, though for both of them there is a mystery that means they become a little less interesting than I felt they should be. Stand out actor was Sebastian Stankiewicz who plays Adam's simple minded janitor friend Sebastian. He did so much with a character that really doesn't have that many lines, yet his silent moments really breathe life into this interesting person. The plot is sometimes obtuse to the point of bafflement with some parts that never seem to get explained. There are hints that lead to a general outline of the time travel part, but other elements such as the secret threat monitoring Adam are never really explained. It makes for some paranoia (which is where some of the 1984 themes play in), but there is a Brazil like humour to these parts as well with the people after him being slightly incompetent in their actions. The time travel itself is quite abstract with there not really being a solid explanation given. I didn't actually mind that this wasn't explicitly explained, sometimes the air of mystery around parts of The Man with the Magic Box helped it. This has some great set design, some great costume design, and a score that fits the tone perfectly. The plot itself I didn't find to be all that involving. It is mainly a love story, but that was the biggest part for me that I didn't really enjoy too much. With the characters being such blank slates it was hard to care much about them slowly falling in love with each other. For me it was the world building that I really liked, this bleak and darkly humorous dystopian future Warsaw felt well realised and well thought out. 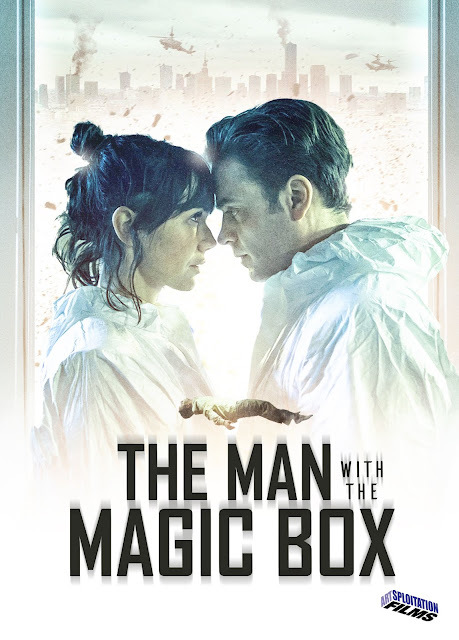 The Man with the Magic Box was released by Artsploitation Films on DVD and VOD on April 4th.